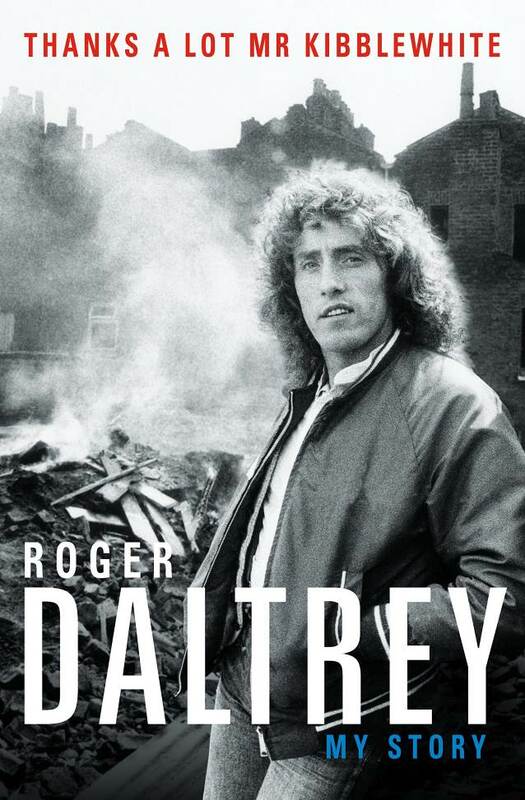 Roger Daltrey of The Who will publish his long-awaited memoir, "Thanks A Lot Mr. Kibblewhite: My Story", in the UK on October 18 and in the US on October 23 via Blink Publishing. The project explores the legendary rocker’s 50-plus-year career with The Who while providing a glimpse into life in Britain during a time of societal changes from the 1940s to the 1970s. 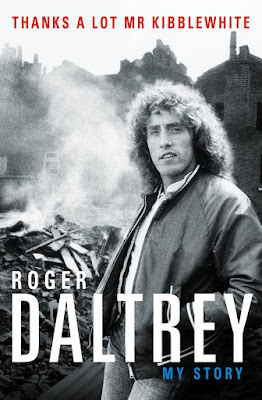 Born in the heart of the Blitz in March 1944, Daltrey fought his way (literally) through school before being expelled at the age of 15 for a crime he did not commit; thanks to his draconian headmaster, Mr Kibblewhite, it could all have ended there. Instead, the life of a factory worker by day and emerging singer by night awaited Daltrey; he would form a skiffle outfit called The Detours in 1959 – a group that would eventually see the addition of his grammar school mates John Entwistle and Pete Townshend – before the 1964 addition of Keith Moon and name changes to The High Numbers and, finally, The Who. The outfit’s first single, “I Can’t Explan”, was released in 1965, becoming a UK Top 10 hit ahead of their album debut, “My Generation”, later in the same year. The Who’s explosive and dynamic stage show made them a must-see through the years, as they would explore new rock territory with 1969’s “Tommy” and 1973’s “Quadrophenia” prior to Moon’s death from a prescription drug overdose in 1978 at the age of 32. "I've always resisted the urge to 'do the memoir' but now, finally, I feel I've enough perspective,” says Daltrey. “When you've spent more than half a century at the epicenter of a band like The Who, perspective can be a problem. Everything happened in the moment. One minute, I'm on the factory floor in Shepherd's Bush, the next, I'm headlining Woodstock. "It's taken three years to unpick the events of my life, to remember who did what when and why, to separate the myths from the reality, to unravel what really happened at the Holiday Inn on Keith Moon's 21st birthday. I hope the result is more than just another autobiography,” adds the singer. “I've been lucky enough to live in interesting times. I've witnessed society, music and culture change beyond recognition. That I'm still here to tell my tale when so many others around me didn't make it is nothing short of a miracle." With sales of more than 100 million albums, Daltrey and The Who were inducted into the Rock And Roll Hall Of Fame in 1990 and the UK Music Hall Of Fame in 2005. Daltrey will also host a book-launching event at the 2018 London Literature Festival on October 18. Fans who pre-order the memoir will be entered into a contest to win an autographed photo of Daltrey as seen on the book’s front cover. Last month, Daltrey released his first solo album in 26 years, “As Long As I Have You”; the project mixes Daltrey originals alongside covers of songs by Stevie Wonder, Stephen Stills and Nick Cave, and features Who bandmate Townshend on seven tracks.